The coats of arms emerged in the Middle Ages to recognize the knights on the battlefield and at the tournaments. Nowadays the coats of arms fulfill the task of sustaining tradition that emerged from retaining an old custom. 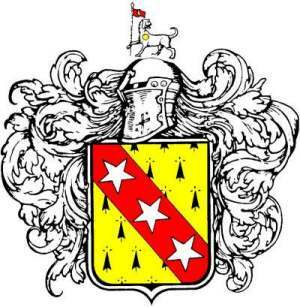 As a result of unfounded rumors this coat of arms supposed to be the Durben coat of arms.